FREE shuttle to and from Miami International Airport. Hotel can arrange shuttle to Port of Miami available for a nominal fee. Sunburst Hospitality Platinum Award Winning Hotel. Safe Usage Charge: 1.50/night (if applicable). 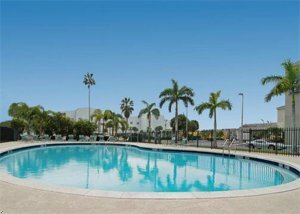 I-95 to SR112W, exit N to 36 St.(Miami Springs) W to hotel, 2 miles on right behind the Comfort Inn & Suites. From FL Turnpikd exit 41st st. east 4 miles. Hotel is on the left behind the Comfort Inn & Suites.